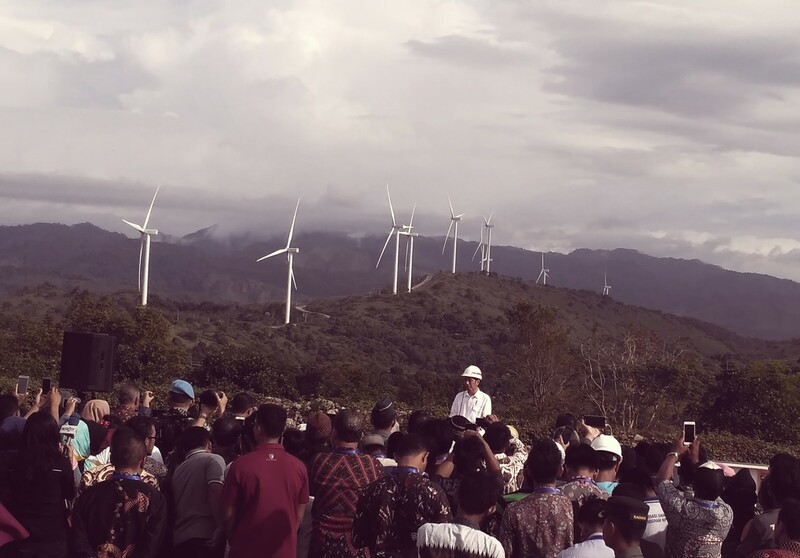 Following President Joko “Jokowi” Widodo's inauguration of the 100-hectare Sidrap Wind Farm in Sindereng Rappang regency, South Sulawesi, a second wind farm in the province's Jeneponto regency is 97 percent complete. The Commercial Operation Date (COD) of the Jenoponto wind farm is set for the end of this year, the Energy and Mineral Resources Ministry said in a statement issued on Tuesday. Similar to the Sidrap Wind Farm, which produces 75 megawatts (MW) of electricity and commenced operation on July 2, the Jenoponto wind farm has been designed with an installed capacity of 72 MW. Seventeen of the 20 wind turbine generators (WTG) have been installed at the Jeneponto wind farm, which has an investment value of US$160 million and occupies 60 hectares in the three districts of Turatea, Binamu and Batang. “Our vision is to continue developing renewable energy. We cannot be dependent on fossil energy,” Energy and Mineral Resources Deputy Minister Arcandra Tahar said on a recent visit to the facility, according to the statement. “The wind farm development project is intended to enhance the national electricity supply. We want to have [a reserve margin] of 30 percent ,” he said. Arcandra said that a 23 percent contribution from renewable energy to the national electricity grid was targeted for 2025.